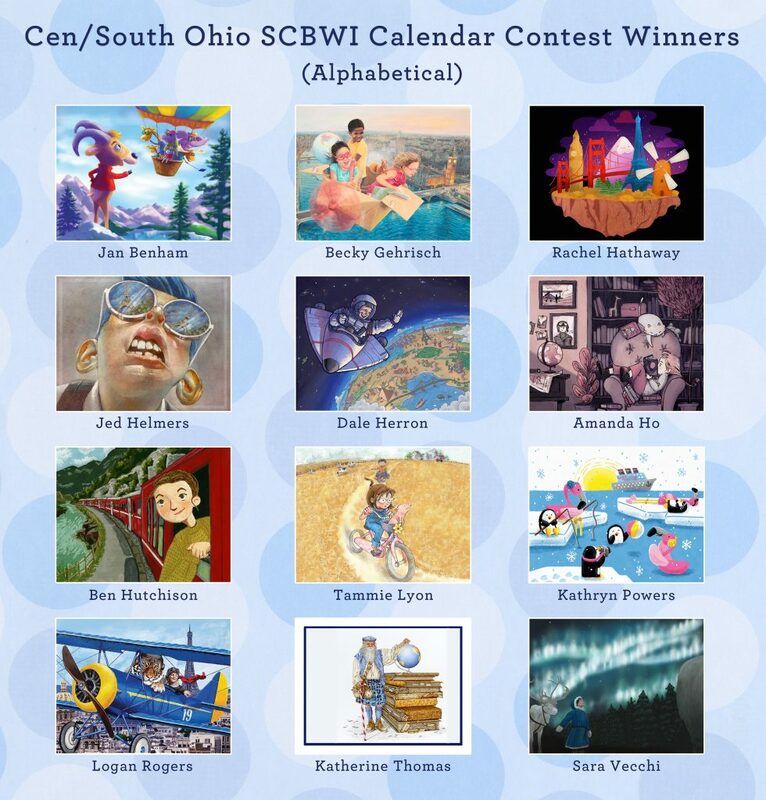 The talented artists of Central & Southern SCBWI wowed us with their pencils and brushes as they created illustrations for this year’s Calendar Contest, Around the World! Twelve illustrations were chosen by our guest judge, an art director at Viking Children’s Books, to be printed as a one-of-a-kind desktop calendar. Celebrate these illustrations all year long with a $15.00 calendar (shipping included). The calendar is 10″ x 5″ and comes with its own stand. It makes a lovely gift for friends and family, or the perfect addition to your own workspace!